In the center of Vienna, next to the busy Naschmarkt, lies café Amacord. A refuge for artists, politicians, free spirits and merchants. 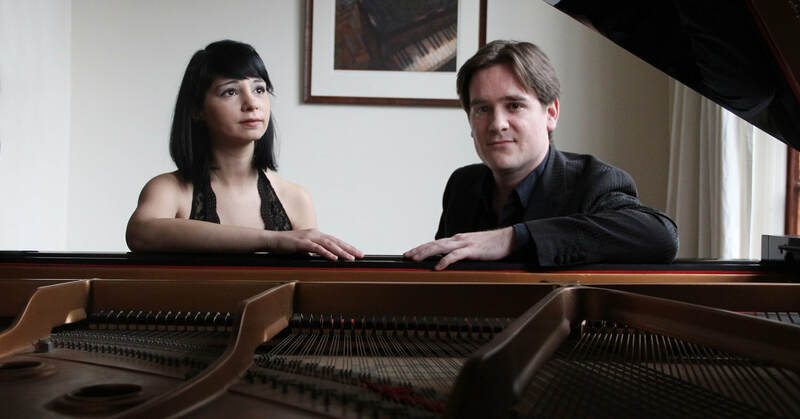 A place to debate, to retreat, fall in love or just to be... ​In the beating heart of the city that acts as the bridge between East and West, the Old Europe and the New, the city of Beethoven and Schubert, Schiele and Klimt, Serbian pianist Ivana Alkovic and Dutch pianist Maarten den Hengst met each other. Their search for high art, conversation and friendship in a strange city brought them together in Amacord, where, apart from their love for music, the love for each other began to grow. This led to the birth of piano duo "Amacord". Four hands on one piano, a spectacle of intersecting lines and dynamics.